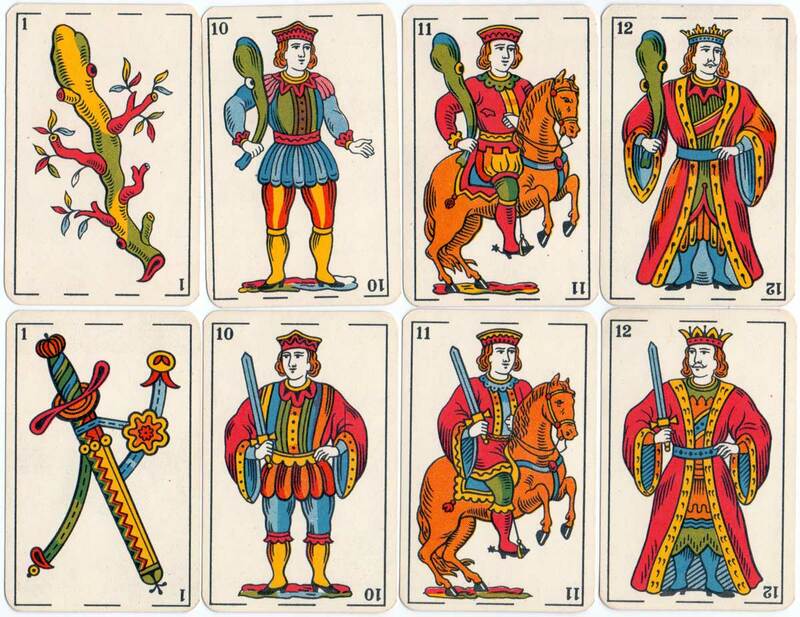 Naipes 'Bambú' Spanish-suited playing cards in the Catalan pattern manufactured by M.C. de CASABÓ Ltda, Avda Gral Rondeau 1602, Montevideo, early 1950s. Casabó also produced Naipes Conga, Naipes Elefante, Naipes Tatú, American, The Monkey and Naipes Jaque. 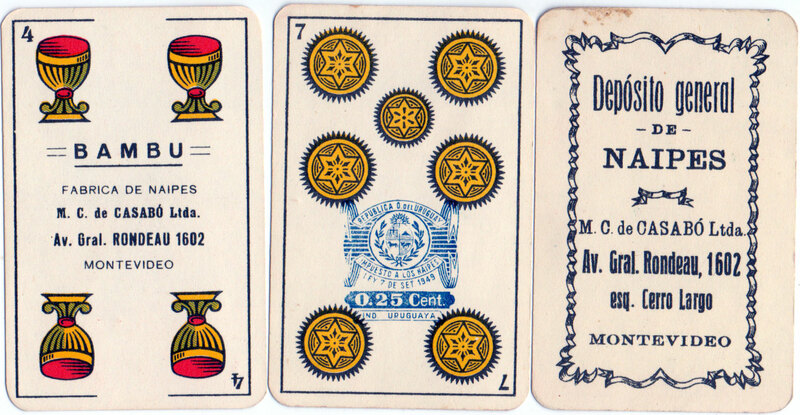 The seven of coins has the blue 25 centésimo tax stamp which was applied to cards manufactured in Uruguay at this time. 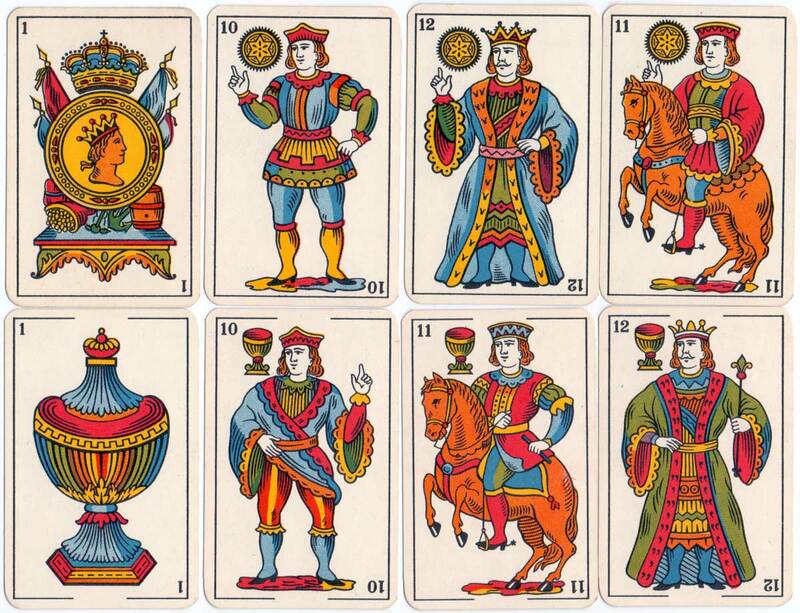 The extra card, the four of cups and the box give the company name as M. C. de Casabó Ltda, and the address as Av. Gral Rondeau, 1602 (Montevideo). In May 1956 the name changed to M. C. de Casabó S.A. and the address to Cuareim 1885 (Montevideo). 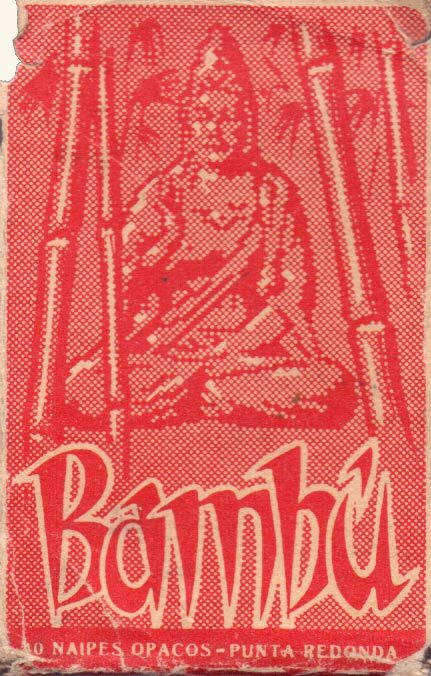 Above: Naipes ‘Bambú’ manufactured by M.C. de Casabó Ltda, Montevideo, early 1950s. 40 cards + title card in box. (Click tax stamp to zoom).